P L A S T I C C U P S ! 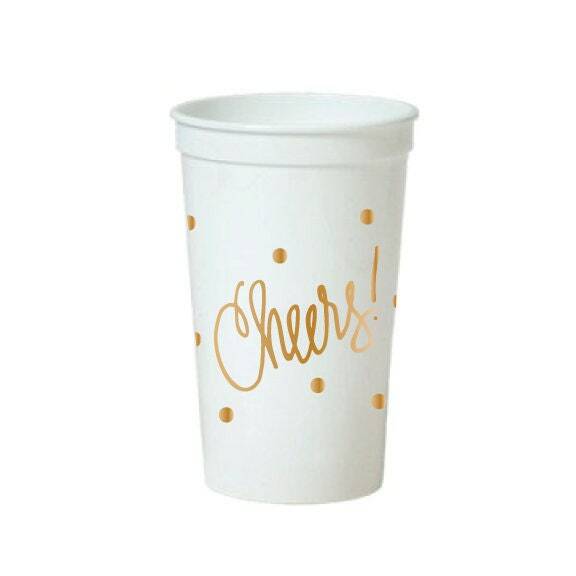 The original "Cheers!" design that started our company … and still our favorite! Also great for hostess gifts, teacher gifts, office parties … or just to celebrate every day! Gift Idea: Individually fill them with treats and add a bow! 22 oz. White "Stadium-Style" Plastic Cup — The largest in our collection! - $ - Etsy sometimes pretends like we ship each design of foam cups in a separate box.